The middle school years at Florida College Academy continue to build on the solid foundation our elementary program establishes. Sound academics with spiritual guidance drive our focus. 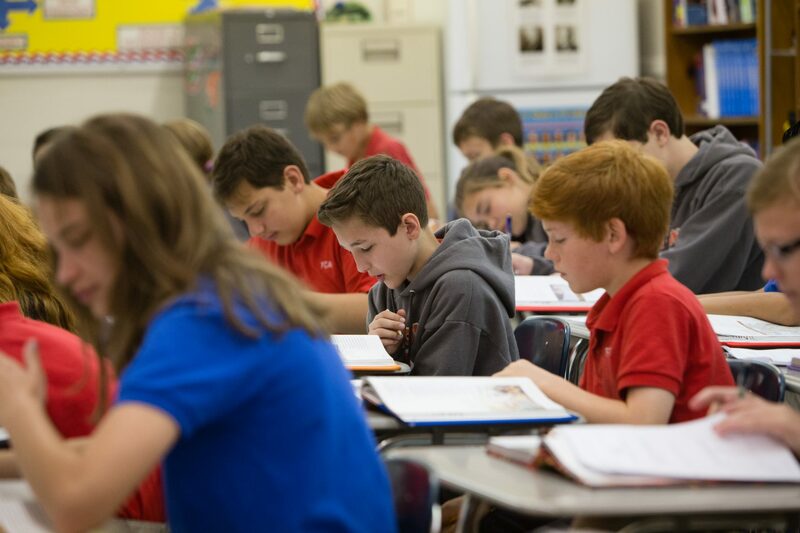 Students participate in six core classes each day (math, language arts, science, social studies, physical education, and Bible). Bible classes are offered daily at all grade levels, with separate girls and boys Bible classes for 7th and 8th grade students. Our diverse program offers a safe, family-like setting for our students to grow and mature as they prepare to enter high school. Advanced classes are offered for those students ready for the academic challenge. Study skills and organization are a strong focus evident throughout the program. Additionally, there are elective courses that rotate quarterly. These include art, music, technology, and more.